When my brother and I were young, there was a pond in front of our house which for a short time had ducklings. Each day that we went to the pond there was one less duckling. We had no idea what was happening until finally one day we saw the last duckling being pulled under the water by a turtle. As an adult, I wanted ducks again, so my uncle got eggs from a neighbor who had ducks. We incubated them for weeks until once again I had ducklings. One believed it was a cat and actually tried to nurse with the kittens we had. Another thought he was a dog and when he was grown herded the chickens into the pen at night. 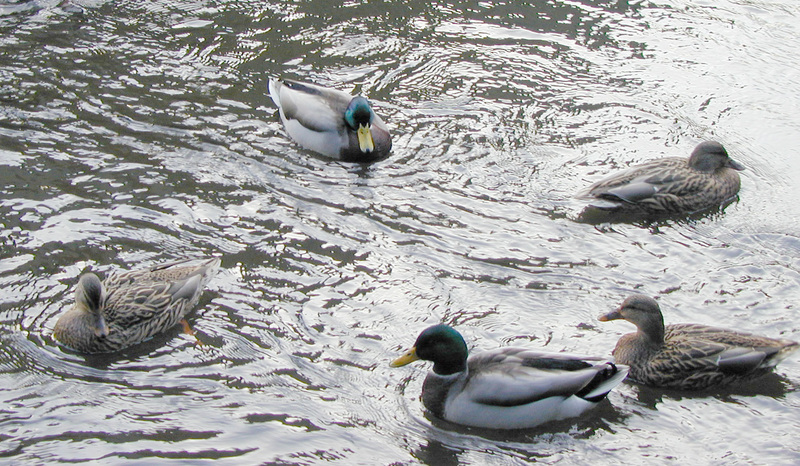 Although these ducks survived longer, eventually they also became victims of their environment. Obviously I’ve not been very successful at raising ducks, but there are some life lessons to be learned from these creatures. Following – Ducklings are often seen following the momma duck who protects them from predators. Isaiah 43:2-3 says, “When you pass through the waters, I will be with you; and when you pass through the rivers, they will not sweep over you. When you walk through the fire, you will not be burned; the flames will not set you ablaze. For I am the Lord your God.” When we follow God, He will guide and protect us from getting eaten by the world. Does your Christian walk resemble the life of a duck? Put God FIRST by Following, Imprinting, Rolling, Socializing, and Teaching just as the ducks do. I like the comparison! I really the like the part about the Lord not letting us get eaten by the world.